We are the Best Commercial Locksmith in Seattle! When you are living in Seattle, University Locksmith Seattle is the name everyone knows when it’s about security solutions for your commercial buildings! 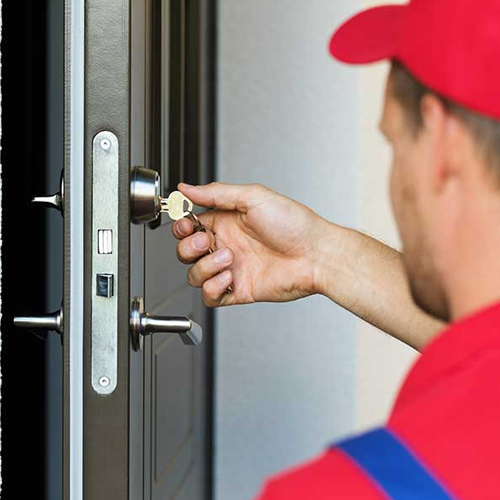 We have been into the business of providing commercial locksmith solutions since 1935. We are the most trusted name for security solutions for your commercial properties. We offer a wide range of locksmith services for office, retail, industrial and institutional premises. Knowing that your commercial property is safe from any trespassers gives a sense of relief and satisfaction that your office premises are safe and secure. University Locksmith Seattle knows how important the safety of your commercial building is and to make sure you never have to worry about the same – our services are available 24 hours a day, 7 days a week and 365 days a year. Quickest Re-key, Lost Key Solutions in Seattle! University commercial Locksmith Seattle offer a wide range of services like changing the locking systems to your premises, getting duplicate keys for the keys gone missing, high Security locks and so on. Our security professionals are well trained to identify the loopholes in your office security and could give you a detailed plan on how you can safe guard your premises from any threats with our proposed solutions. We make sure our workforce is updated with the new technologies being introduced in the market. Secure your most valuable assets with our University Commercial Locksmith services and rest assured about the safety and security of your office premises from any criminals, burglars or even the environmental hazards. We offer our best locking systems that will not only safe guard all your important documents and properties but will also come with an ease of access to you. We believe in simplicity at its best and yet at its strongest. Having a huge number of employees can mean loss of keys now and then. Instead of waiting for months to get the key found and keep that space locked and unused, you can contact us on 206-717-8581 and we will send our professionals to help you with a duplicate key within a few minutes. Getting locks fixed can be that easy when it’s University Commercial Locksmith Seattle. Locked out doors can strike a panic if there is a huge number of workforce trapped inside the room! In such situations you can count on us to be there at your service within the shortest of time with a fast solution for unlocking your door. Solutions for All Your Commercial Lock Needs! We specialize in all kinds of commercial locks such as computer generated master key systems, access control card systems, high security locks installation, digital keypad locks, re-key commercial locks, master lock systems etc. we believe in staying updated with the changing world and make sure our locksmiths are always updated on the latest locking trends in the security market. So next time when you are thinking of getting the safest security locking system for your commercial properties – Just dial 206-717-8581 and our skilled professionals will be there to discuss and plan the locking security of your building.